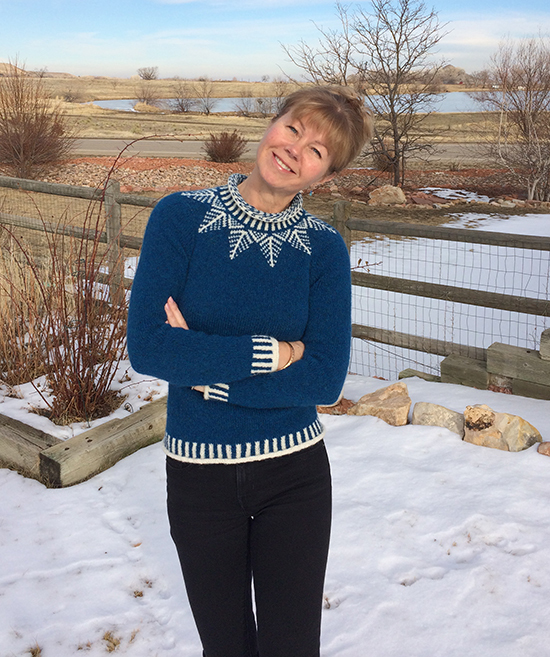 I’m really very happy with how my latest knitting project turned out: Etherow designed by Sarah Hatton from the Rowan Winterscapes brochure. The original design was knitted using the shades Hoby (pink) and the creamy white shade Melbourne……. The sweater has a nice fitted look, although I wouldn’t say it has negative ease, probably +1 inch of ease. I decided to add a bit of waist shaping as I hate it when the extra material around my waist and my lower back bulges out strangely, which seems to happen a lot with the shape of my body. I did this by gradually decreasing 4 stitches on each row (situating them above my two front hip bones and the relative position at the back) 6 times and then gradually adding them back again as I knitted up towards the bust. 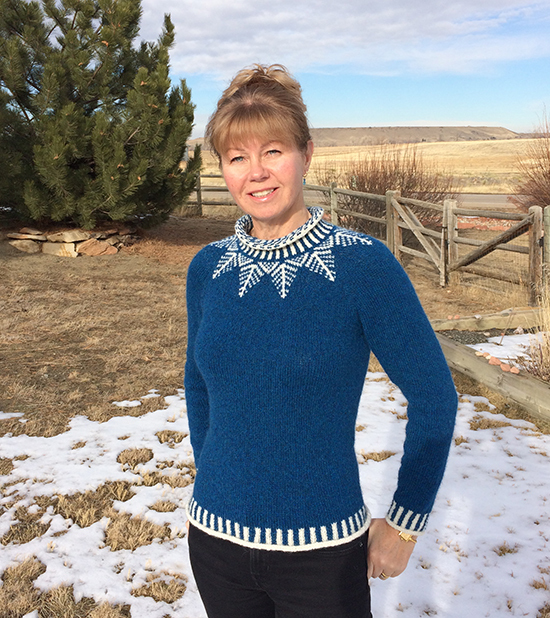 The sweater itself is knitted in the round from bottom up to the neck. What I love about the pattern is there are only 12 stitches (6 under each armpit) to graft together at the end of the knitting; it is all knitted in one piece. Sarah Hatton is really great designing patterns like this…….no seams = no sewing.…..love it! 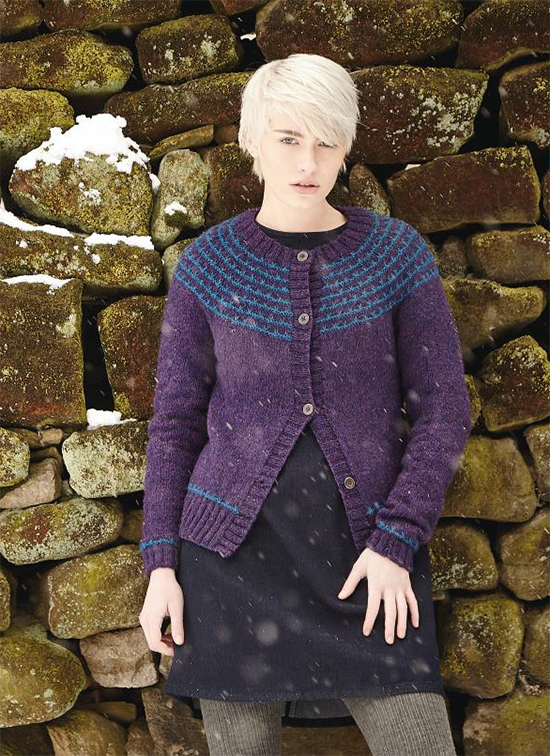 One thing to watch out for though, when you are knitting the yoke there are some short rows but the pattern does not tell you to wrap the stitches when you turn in the middle of a round, which you do quite a lot. I wasn’t sure if there was a reason for this but wrapped the stitches anyway and then hid the wrapped stitches when knitting these stitches again when I came across them on the next row. If you don’t wrap the stitches you will have lots of holes all around the yoke……so I’m glad I went ahead and wrapped. on my list. But I think I will knit up another pair of my Zebra Mittens first from the leftovers. 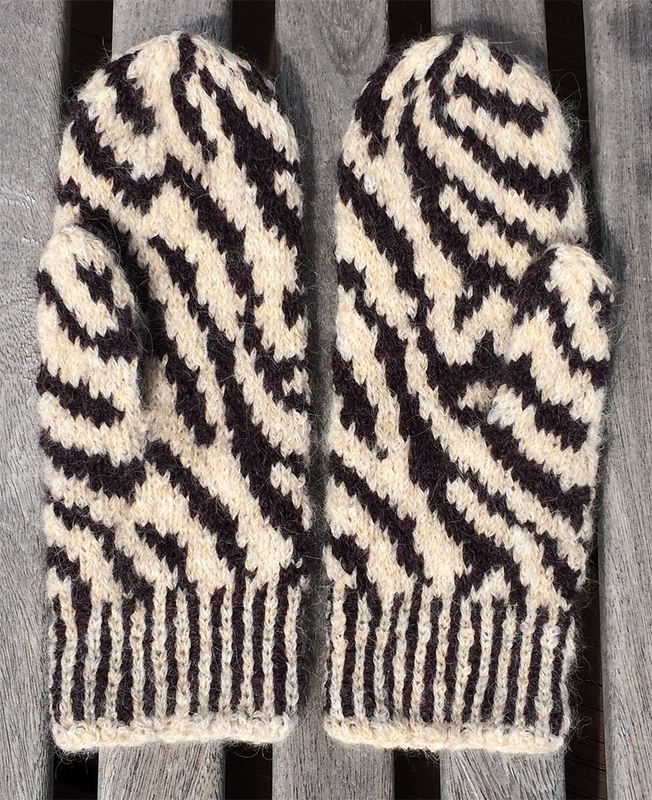 (Zebra Mittens pattern available to buy on Ravelry – click here). I would love these in another colourway……. 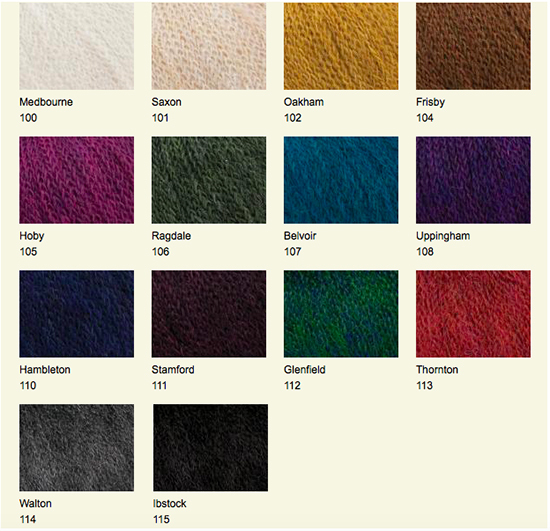 Have you used Rowan’s Alpaca Merino DK? Please do let me know by leaving a reply below or scroll to the top and click on the little speech bubble!